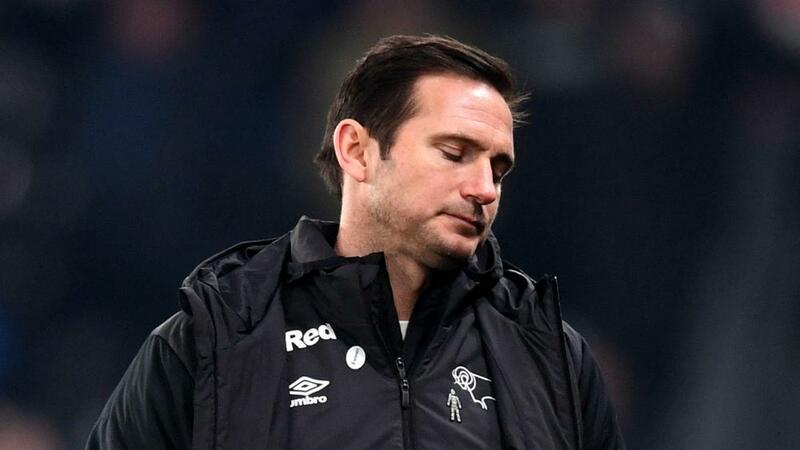 The Football Association and EFL will rule on "spygate" and Derby County manager Frank Lampard is happy not to discuss the issue again. Derby County manager Frank Lampard is keen to leave the "spygate" story behind and let the Football Association (FA) handle any punishment towards Leeds United. Lampard was angered when a man was spotted watching Derby training from the bushes ahead of the Championship clash with Leeds, the individual eventually identified as an employee of the Elland Road club. Marcelo Bielsa openly admitted he had sent the spy when interviewed prior to the leader's 2-0 victory, with Lampard expressing his disbelief at his opposite number's lack of contrition. Lampard was again asked about "spygate" ahead of Derby's FA Cup third-round replay with Southampton, but the former England international feels he has little more to offer on the subject. "It's a conversation between the FA and EFL [English Football League]," Lampard said. "For them to decide if it's worthy of a punishment. "I don't think offering my opinion now on what should happen is the right thing to do. I think I made my feelings quite clear after the Leeds game. "I've heard a lot said about it - and it is obviously a divisive issue. I would expect most other managers to feel the same way as me. "It's up to how much the FA and EFL want to stop what happened happening again, or whether they don't. "This will be the last time I speak about it. I certainly don't want to be the person who keeps speaking about an issue when it's gone. "It's for the authorities to deal with and now we must focus on what we are doing, which is preparing for the Southampton game." Ralph Hasenhuttl – who comes up against Lampard this week – insisted Leeds' ploy was common practice in Germany. "I know this from Germany," he said. "In Germany it's a little bit easier because there are a lot of public training sessions, so it's not a problem really to spy on such training sessions. "Yes [I have sent spies]. We could because it was public and then you send the guy, you see who is training or who is not and if there is a new coach, what does he do at the beginning. "I wasn't standing there myself, but I've sent spies. Spies if you want to call them that, but it's normal in Germany."